Chinh Q. Le is Legal Aid’s Legal Director. In that capacity, he oversees the organization’s legal program, which includes roughly 55 attorneys and fellows, 4 loaned associates, 9 legal assistants and intake coordinators, and a case manager. From 2013 to 2016, Chinh served as Co-Chair of the D.C. Consortium of Legal Services Providers, a coalition of more than 30 legal services organizations in the District of Columbia. From 2011 to 2013, he was Co-Chair of the Access to Justice Task Force of the ABA Section of Litigation. 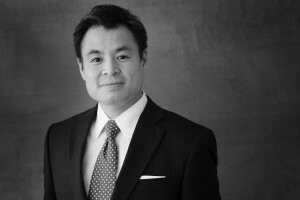 Immediately prior to joining Legal Aid in July 2011, Chinh was the Director of the Division on Civil Rights in the Office of the New Jersey Attorney General, where he led the state’s enforcement of state and federal civil rights and family leave laws. Between 2001 and 2006, he served as assistant counsel at the NAACP Legal Defense & Educational Fund, Inc., in New York, New York, the first two years as a Skadden Fellow. Chinh spent the 2008-2009 academic year as a practitioner-in-residence at Seton Hall Law School and an adjunct associate research scholar at Columbia Law School, where he was affiliated with the Center for Institutional and Social Change. He has also worked as a litigation associate at Jenner & Block LLP. Chinh received his B.A., with high distinction, from the University of Virginia and his J.D. from the University of Virginia School of Law, where he served as Notes Editor of the Virginia Law Review, was elected to the Order of the Coif, and received several awards, including the Margaret G. Hyde Award, the Alumni Association’s Distinguished Student Award, and the Mary Clairborne & Roy H. Ritter Prize. Upon graduation, Chinh served as a law clerk to the Honorable Walter K. Stapleton of the U.S. Court of Appeals for the Third Circuit. Chinh is a member of the Board of Directors of the Poverty & Race Research Action Council, the Board of Directors of the Washington Council of Lawyers, the PART Advisory Committee of the D.C. Bar Pro Bono Center, and the Advisory Board of the D.C. Community Legal Interpreter Bank. He also serves on the Advisory Committee of the Racial Justice Institute of the Sargent Shriver National Center on Poverty Law and on the faculty of its Affirmative Litigation Training. In September 2014, Chinh was recognized as one of D.C.’s Rising Stars by the National Law Journal. He received the Community Service Award from the Asian Pacific American Bar Association Educational Fund in March 2018, and the Shaping Justice Award from the University of Virginia School of Law in February 2019.